Here is a round-up of today's proverbs and fables - and for previous posts, check out the Bestiaria Latina Blog archives. If you are looking for free copies of my books, you can find links to all of them here: Fables, Proverbs and Distichs — Free PDFs. HODIE (Roman Calendar): ante diem octavum Idus Februarias. 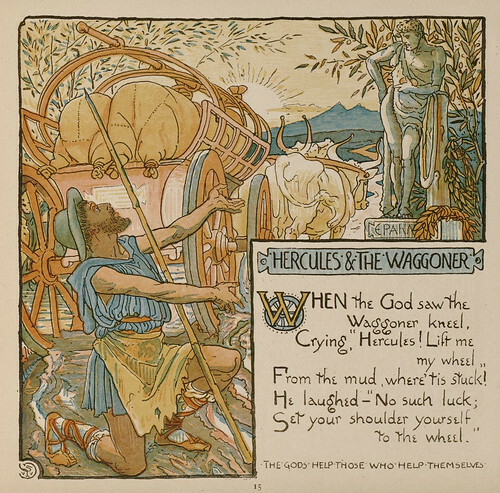 MYTHS and LEGENDS: The art image for today's legend shows Heracles and Eurystheus, and there are more images here. TINY MOTTOES: Today's tiny motto is: Sperandum (English: We must have hope). AUDIO PROVERBS: Today's audio Latin proverb is Arcum nimia frangit intensio (English: Too much tension breaks the bow). To read a brief essay about this proverb and to listen to the audio, visit the Latin Via Proverbs blog. ERASMUS' ANIMALS: Today's animal proverb from Erasmus is Gallus in suo sterquilinio plurimum potest (English: The rooster can do much as he pleases on his own dungheap; from Adagia 4.4.25). BREVISSIMA: The distich poster for today is Fert Omnia Secum. Click here for a full-sized view. Contra vim non valet ius. Justice is powerless against force. FABULAE FACILES: The fable from the Fabulae Faciles widget is Ollae Duae, a story of mismatched friends (this fable has a vocabulary list). 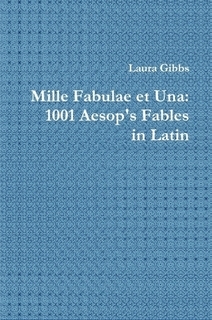 MILLE FABULAE: The fable from the Mille Fabulae et Una widget is Hercules et Rusticus, a story of how the god helps him who helps himself. Words from Mythology. 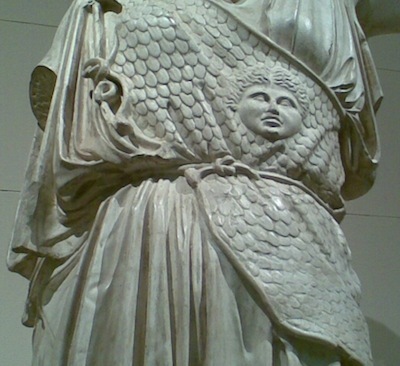 For more about the mythological AEGIS, see this blog post.